Copper has become increasingly popular to use within both traditional & contemporary Space’s. This soft Malleable metal made a big come back in 2016 & has been a must have finish ever since. Finishes such as Brass are also making a big comeback this year with its retro 70’s looks. 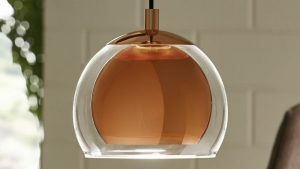 Copper is still top of the list for accessories in the kitchen & home. It’s in the Kitchen where this finish can take centre stage and showcase its natural properties. Regardless of it’s polished or weathered finish. There are numerous ways to incorporate Copper into your cooking area. It’s Natural versatility lends it’s self to any kitchen style. From pots and pans to worktops and splash backs, there are many ways to incorporate this Finish into the designed space. A Polished Finish can give a sleek and streamlined look to a minimalist style kitchen. Choosing copper with smooth surface will be more in keeping with a simple clean modern look. For a more traditional or country style kitchen choosing a hammered, dull finish with an aged rustic look, can sit well within this style of kitchen. That said there are no hard & fast rules regarding the right finish and many modern, traditional kitchens work well with the sleek polished finish if used correctly. 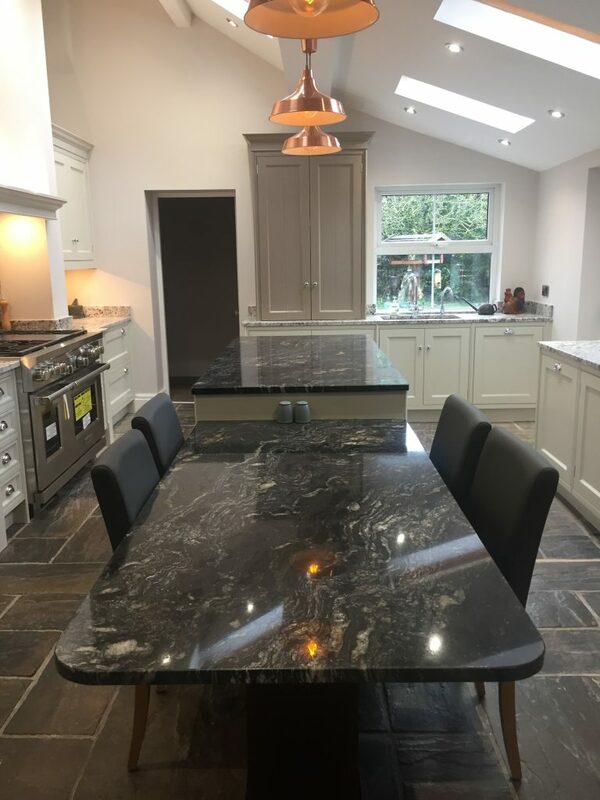 If you are thinking of adding accessories to your kitchen space, opt for statement pieces made with the raw material rather than mass-produced imitation alternatives as this guarantees longevity, both physically and aesthetically. Pictured Below is a recent English Classic Kitchen Finished in Farrow & Ball Skimming Stone & Charleston Grey. 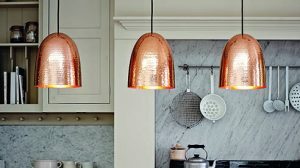 The Kitchen Features 3 Copper Pendants which add the perfect finishing touch.